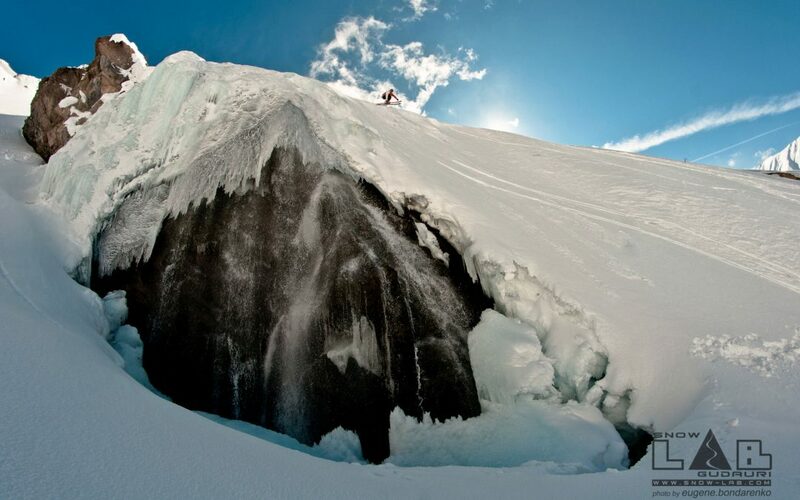 One of the most amazing backcountry spots in Gudauri. 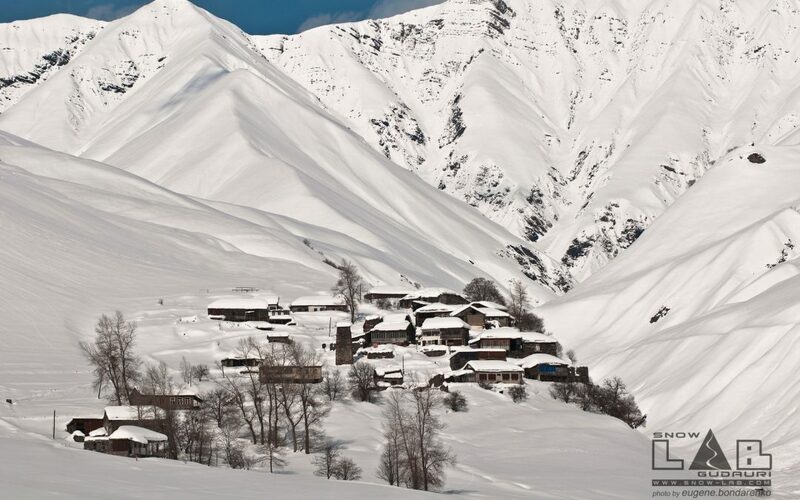 Milioni valley has 1100 vertical drop, you will enjoy very unique, diversified terrain and huge powder fields. The tour ends with over 1km run on the river stream towards Georgian Military Road through an abandoned village. The most thrilling yet the most interesting program discovere by us only in 2012. From the top of Kudebi we go down to Hade valley. Breathtaking views and ride through an abandoned village with waterfall and natural spring of sulphur water. 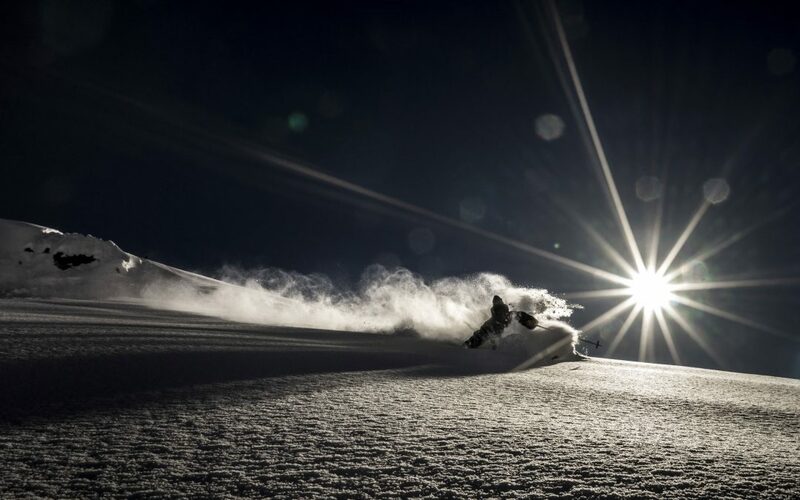 3 – day programme is the best option to get to know freeride potential of Gudauri. First day we take you to one of the Kobi valley routes, second day you will get to know Bidara, and we will finish things off with a hike up to the Lomisi monastery. It’s an offer for semi-advanced and advanced riders. 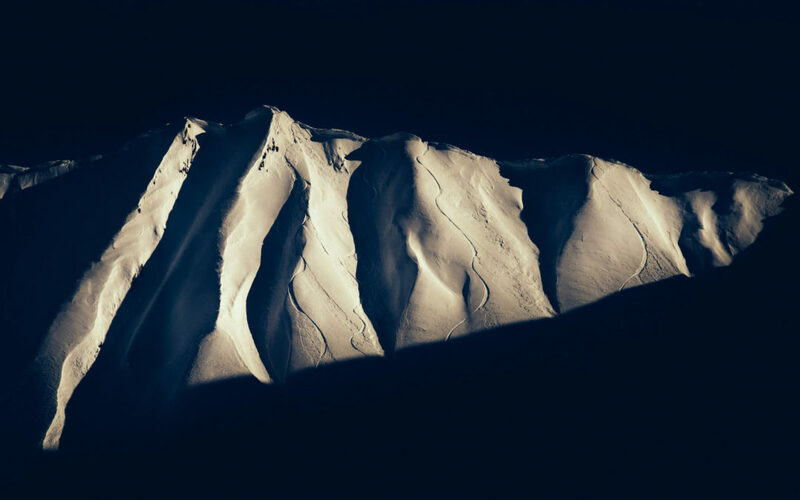 This is an offer for the people that already have experience in off-piste riding, know how to use beacon, probe and shovel, know how to work in group and are not afraid of hiking up to the lines. In 5 days you will explore what Gudauri has best to offer – Kobi valley, Bidara Peak, Milioni Valley and Hade Valley. Hiking up Lomisi Monastery is not only great backcountry away from the resort it is also a cultural experience. There is many legends regarding the monastery build on the height of 2200 meters above see level, and you will get to know all of them during the hike. When you reach the top you will be able to rest and get some refreshing tea and talks from the monks. There is also a heavy chain in the church that you can put and make some wishes. 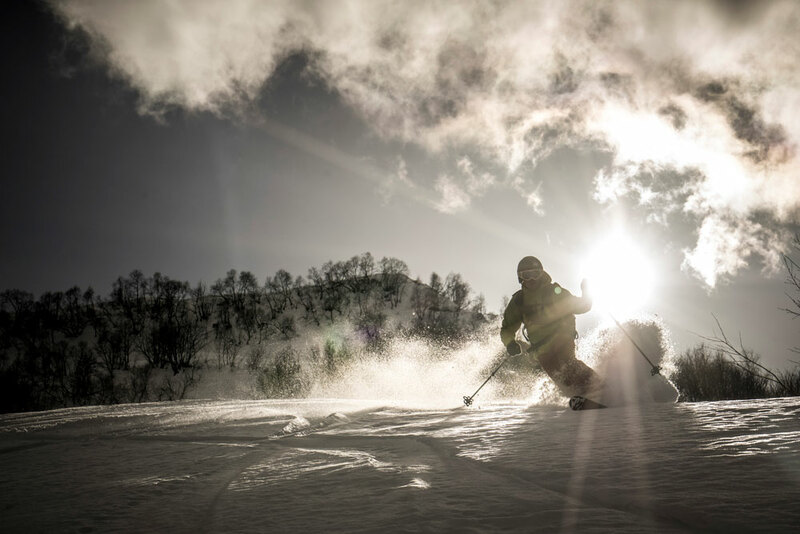 After that you will be able to ride of the most enjoyable terrain in Gudauri. Bidara fields are one of the most beautiful in gudauri. Facing Nort West there is always good snow and thanks to variable terrain you will have lots of fun riding them. 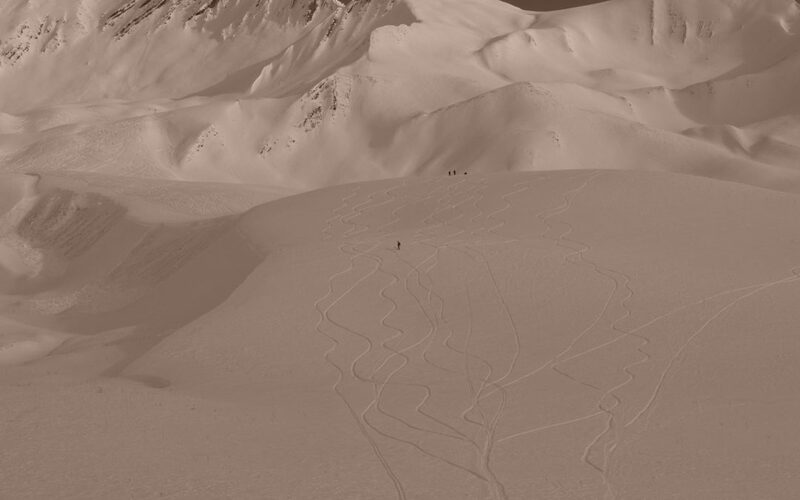 Hike up is short and you can find almost anything you want – couloirs, huge fields, jumps and bumps. One of the most popular free ride routes in Gudauri. Contrary to the whole resort it faces North which means that powder stays longer and our guides know where to find it! There is many options to ride this long valley, starting from easy ones (Kobi Light) more advanced (Kobi Pro) to even expert level (Kobi Grande). The best thing about this tour is that you only need to walk few minutes from the top of Sadzele lift (3300 m) to get to the starting point, from there there is only huge fields of unlimited powder. During the tour you will see the mythical Kazbek (5047 m)and amazing Caucasus mountains.